Here's a Rhino screen dump of a original '63 Jr. I'm working on right now. I've been using the Microscribe digitizer for the job and I really like it compared to the laser scanning experiment I had with the '53 GT. The tolerance are approx 0.2 mm and I'd call it enough since I'm double checking everything with the digital calliper. Here it's just the body but everything will be there, down to the smallest detail, the that's what makes it interesting for me, 100% accuracy and 100% original. I've compared this to a newer SG and I found that it differ quite much, I don't know if they all are individual or if the design differ from year to year, I guess it's a mix of both. This file and many others will be available for download in 3dm, Step and Iges for reasonable prices from Eastern Maple Carved Tops as soon as we've worked out all the details. 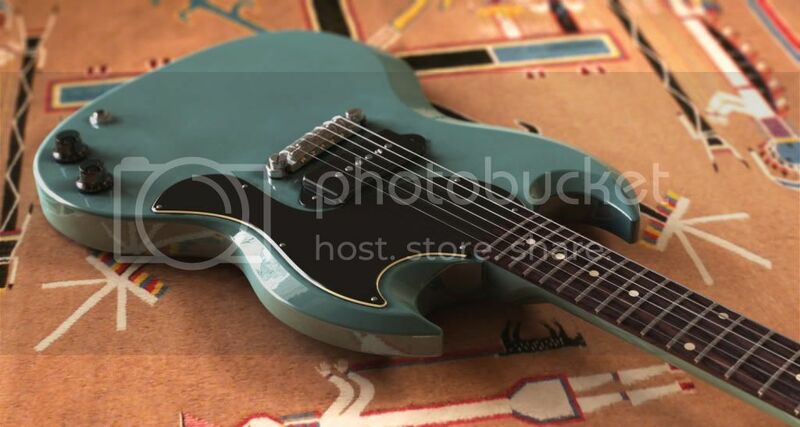 The files will be sold as is, meaning that I will do no custom changes such as changing neck angle, P90 to humbucker etc. I'd like to hear your thoughts about it, if you had access to a CNC, what guitars or parts would you be interested in, 'bursts excluded? Would you consider selling any plans for these? I don't have access to a cnc, but would love to have the dimensions on these guitars. Excellent work! I wish I had seen this before I started my SG build. Indeed there is a shortage of information about SG designs. I'm no expert, but there are many variations of the basic SG design. Yours is amongst the 1st generation SG, distinguished by the box neck joint which joins at the 22nd fret, and more aggressive carving than later years, as best as I can tell. I suspect that these early 60's bodies were all hand shaped, and thus all are slightly different. I'd be very interested in 2D files when you are finished. Creating the 2d plan can be done within Rhino without any problem. The problem is for me to sort out how much information the user need, how much data to delete before you loose the accuracy you have in the 3d file. Drawing a accurate and detailed 2d plan are actually way to much job for me so I've decided just to offer the 3d files. You wouldn't believe how many hours (days, weeks) I sat with the generic '59. this is one shape i wont/cant sell as a kit, so i dont mind doing an exact replica on the cnc for me. the plans found online are way off though. 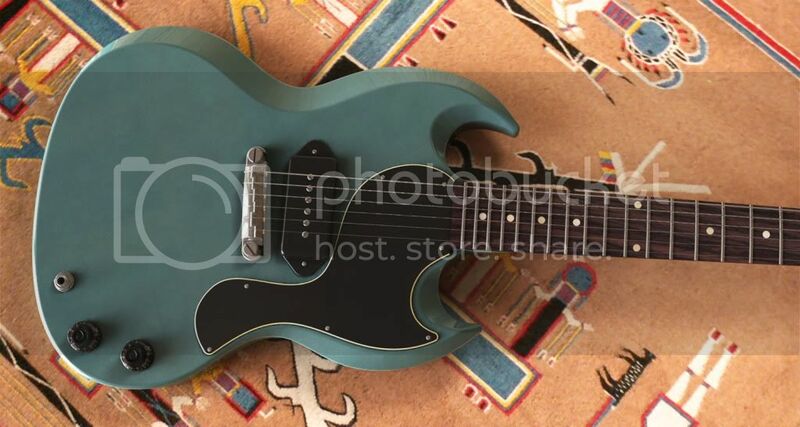 i actually hand made my own sg jr, in short scale with an undersize body. i laser scanned it with our nextengine, but the scanner didnt really give a useful result (hates wood grain). might try again one day. cant sell it either though. gibson is quite happy (and rightful) to sue anyone selling anything resembling and SG. The microscribe is a neat tool, but you can go way of if you're not careful. I always digitize everything at least two time, checking it manually with the calliper. I like the laser scannning. We use it a lot here at the office. Say that I'm designing a ice hockey helmet, then the laser is perfect if I want to test it with some various heads before we do the 3d printing. I don't know anything really about cnc files so I'm going to ask a dumb question. 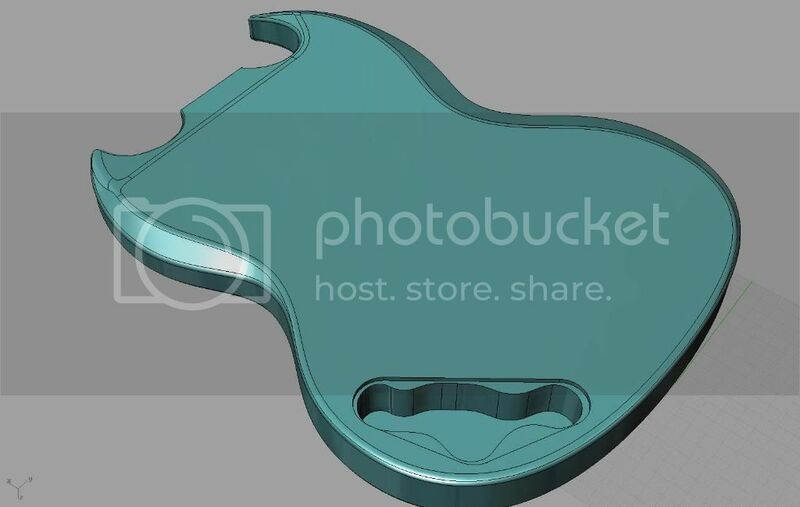 Is it possible to print full size pictures from cnc files? If I were to purchase one of theses files would they have any kind of measurements? Or are they strictly designed to be used with cnc machinery only? If there is a way I could use the files to get the measurements I need than I would love to purchase them. If you have access to rhino you could print the views and details 1:1. Beside that you also can examine all the details in the 3d file, measuring what you need and so on. I think you can download a trial or evaluation copy of Rhino. Cool. That's what I need to know. What kind Fenders you're talking about? I know a few people that would be interested in those also. I'd love to have a really accurate plan for a '50's Stratocaster! If you ever do decide to make those I bet you'd sell a lot of them. I'm always on the search for new guitars to digitize. The job takes a couple of weeks so the owner have to be prepared to that and it's not that easy to find suitable candidates. But I'm working on a couple of 50's and 60's Strats and Teles, hopefully I'll get to measure some of them. Nice work! Ever since seeing this: [ame=http://www.youtube.com/watch?v=OSSjYFPTRAQ]YouTube - jace everett - bad things[/ame] I've been pondering adding a '63 Jr. to the "build list". This thread sounds pretty cool. 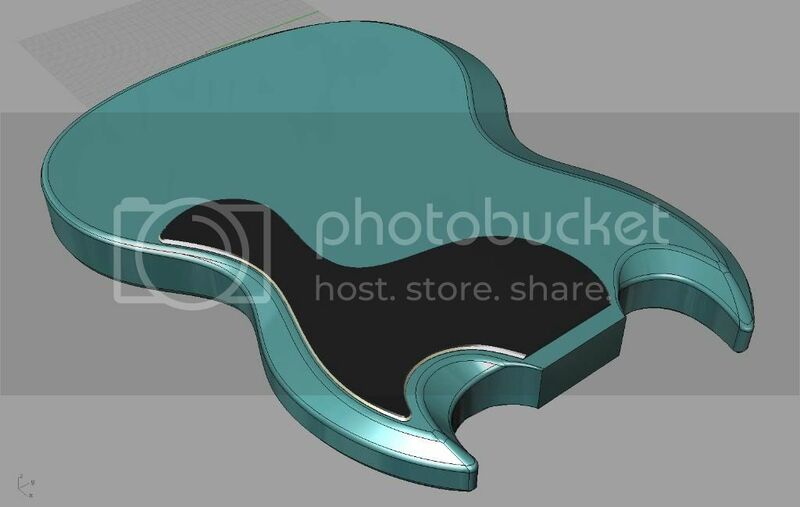 U wouldn't happen to know what the shape of the heel is on the les paul jnr sc and what the neck cross-sections are (want to finish the 3D model r started)? Hey RAHAZ, thanks for the link, that was cool. I love the True Blood intro because of the song. I've completed the digitizing/3d modeling and this is how it looks. These early SG's are really cool, I wouldn't mind building one. Today I'm receiving a pre CBS Precision bass as my next project and after that I'm doing a '62 strat, it's going to be interesting to see how much it'll differ from the plans that are floating around the Internet.